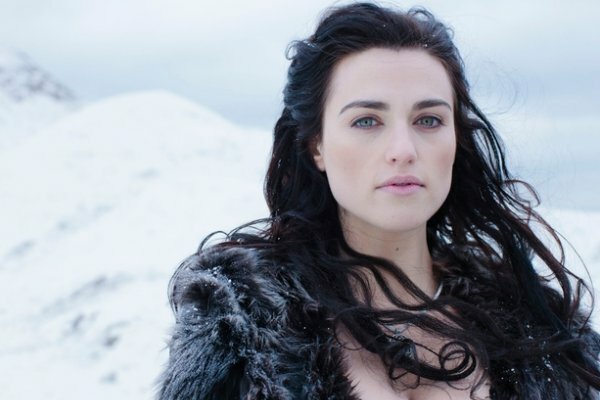 The CW's 'Supergirl' continues its casting-spree with the addition of Irish actress Katie McGrath (Merlin, Jurassic World) as the recurring character of Lena Luthor. TVLine had the exclusive on the news and describes her as "beautiful, powerful, and enigmatic, Lena arrives in National City on the heels of brother Lex’s incarceration hoping for a fresh start. Lena has taken over as CEO of her family’s billion-dollar-tech company, Luthor Corp, which has been tarnished by Lex’s evil infamy. Her goal? To re-brand the empire as a force for good. Lena wants to be seen as her own person, separate from her brother. Kara is drawn into Lena’s sphere and must determine if she is friend or foe." McGrath is just the latest addition to the show after its move from sister network CBS to the home of 'The Flash,' 'Arrow,' and 'Legends of Tomorrow.' Tyler Hoechlin (Teen Wolf) will guest-star as Superman, Lynda Carter (who famously played Wonder Woman in the 1970's series) plays the president of the show's United States, Ian Gomez (Cougar Town) appears as veteran journalist Snapper Carr, Floriana Lima (The Family) as Metropolis Special Crimes Unit captain Maggie Sawyer, and Chris Wood (Containment) as an undisclosed DC Comics character. Supergirl joins The CW superhero family this fall!